Pam Warren, better known as Pam the Funkstress during her time with the group The Coup, died on Friday (December 22) at the age of 51. She had been in the hospital for over a month after undergoing transplant surgery. Born in Foster City, CA, she was a student of DJ Prince of Charm and was well known around the San Francisco Bay area and, in 1994, was brought into the group The Coup by Boots Riley. She appeared on the Coup's albums Genocide & Juice (1994), Steal This Album (1998), Party Music (2001), and Pick a Bigger Weapon (2006) before leaving to concentrate on her own DJing career. That solo career lasted for ten years until a promoter told her that Prince was looking for a female DJ. She met with the legend and was hired on, DJing for him for two months when she received word that he had died. Now known as "Purple Pam", she worked numerous tribute shows after his passing. Along with her music career, Warren also owned a successful catering business. DJ Styles posted on social media, "Prince just needed his DJ. I’ll see you again my friend. 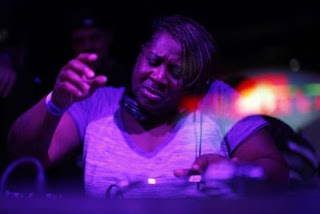 #PurplePam #DJPam #PamTheFunktress #TurntableQueen #RIP @pamfunkstress"